Timber Harvesting’s October issue spotlights Tom St. John as he takes over the reigns of St. John Forest Products from his father. 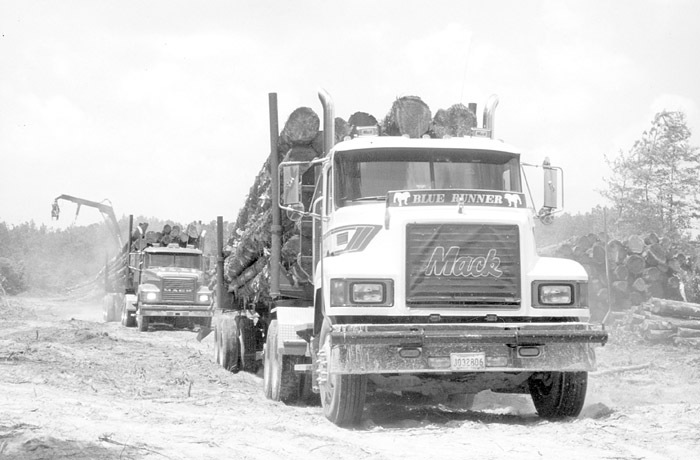 The highly successful Michigan operation is Timber Harvesting’s 1999 Logging Business of the Year. 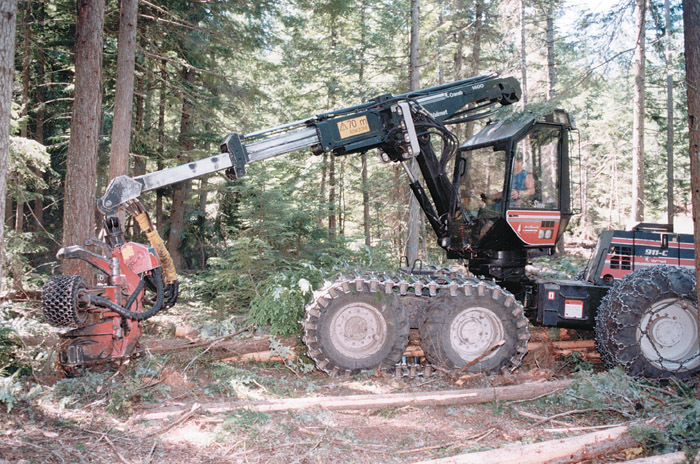 Also, a North Carolina logger starts a new venture in forest operations, and Idaho’s Mike Reynolds is pursuing small CTL Timber. A logger for 20-plus years, J.T. 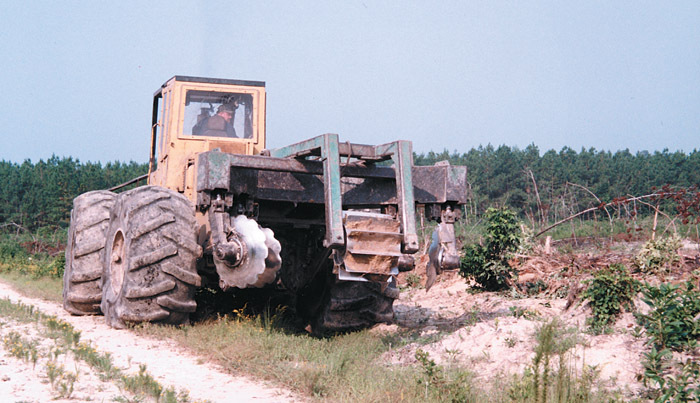 Hoggard, has found a niche in his area for rubber tire site-prep machinery. He says most contractors around him are using track machines, and though he concedes there is a need for such machines when preparing land after a natural stand harvest, he doesn’t run them unless he has to. The Green Team was on to something: something big, and like lawyers who had just been handed a crucial piece of evidence, they conferred around the table with a mixture of serious concentration and restrained excitement. Occasionally one would glance quickly around the room to see who might be approaching, then return their gaze to the map lying on the table before them. In northern Idaho, logger Mike Reynolds rolls down a gravel road in his crew-cab pickup. On both sides of the road are small tracts of timber—75 acres total in four ownerships—where his company has worked and is working to meet the timber harvest goals of small landowners. 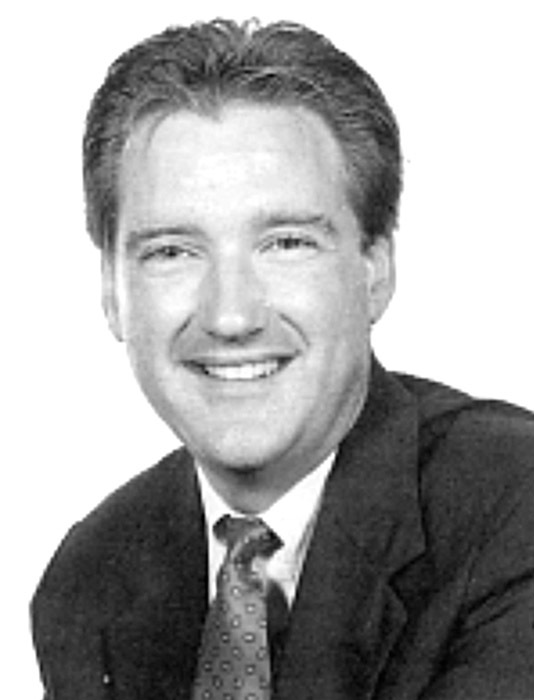 “These are really small jobs, typical of small landowner work,” Reynolds says. Despite a dusty first day and sweltering temperatures that flirted near 100°, the biennial Carolina Log’n Demo pulled through with a satisfying turnout. 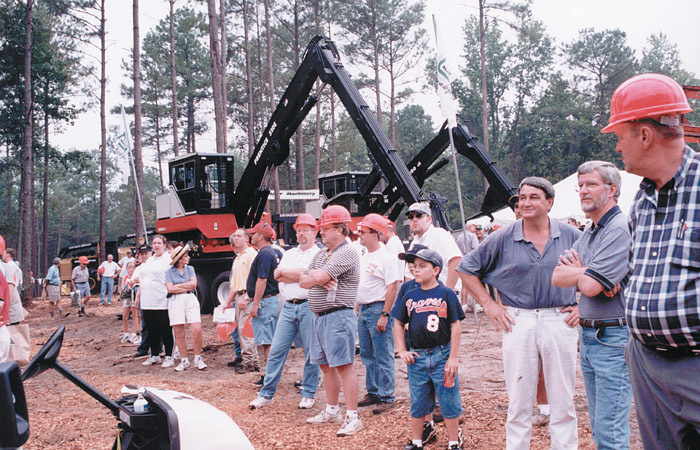 Located on landowner Fred Taylor’s property in North Carolina’s “Sand Hills” region and sponsored by the North Carolina Forestry Assn. 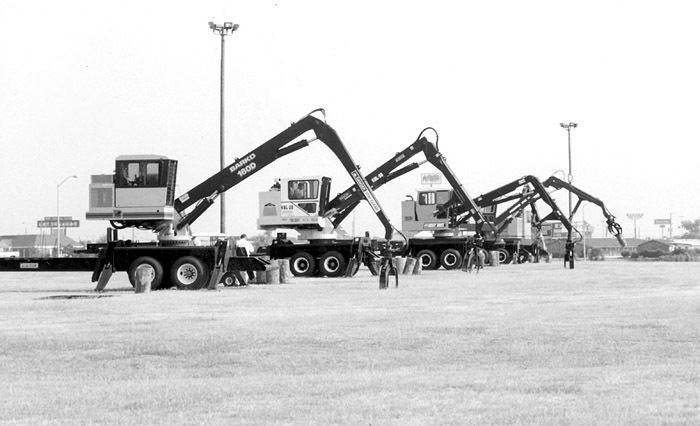 and ProLoggers Council, the show began with static displays on Friday, August 13, and continued with live demos the following day. Georgia-Pacific Corp. has engaged Pricewaterhouse­Coopers to examine the company’s assertion that its wood procurement practices are in compliance with American Forest & Paper Assn.’s (AF&PA) Sustainable Forestry Initiative (SFI) program. The work by PricewaterhouseCoopers will involve a verification of G-P’s wood and chip supply system. More than 800 Georgia and Florida loggers and family members recently braved the heat and converged again in Perry, Ga. for fellowship, leisure and examining equipment. The ninth annual meeting of the Southeastern Wood Producers Assn.was held August 14-15 at the Georgia National Fairgrounds. SWPA recognized loggers of the year for Florida and Georgia: Bryan Olbert, Loncala, Inc., High Springs, Fla.; and Chris Weidner, Weidner Logging, Gray, Ga.
Prentice has expanded its line of log loaders with the addition of a new delimbing loader—the Prentice 280. 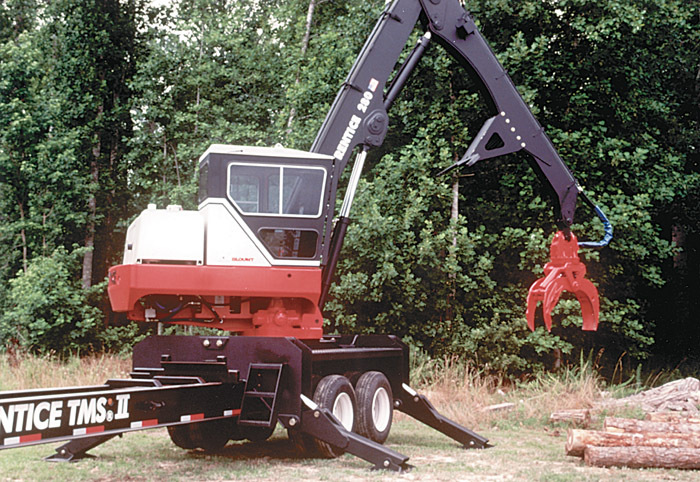 The 280 features a heavy duty, 30' boom design and robust sub-frame. Swing torque exceeds 35,000 ft. lbs. for delimbing pine and hardwood pulpwood. The 280 has a new conventional “flow-on-demand” hydraulic system so there is no flow to the lower until demanded by a stabilizer, saw or delimber functions. Mack Trucks, Inc. has recently implemented new and enhanced customer support programs for its Parts and Service Div. “We recently invested substantial company resources to move our customer support services into what we believe is the industry’s best position,” says Paul Hozza, Vice President of Customer Support.